Has it really been almost two weeks since I posted out here? I’m either lazy, busy, relaxed or a combination of all three. I love going to concerts. My first was Van Halen in 1982 and I’ve been to many shows in the last 27 years. I lost count on how many bands I’ve seen live, but I can easily say it’s over 1,000 different bands… seriously. Just scanning my concert ticket stubs and thinking of all the show I don’t have a ticket stub for, that’s a safe amount. 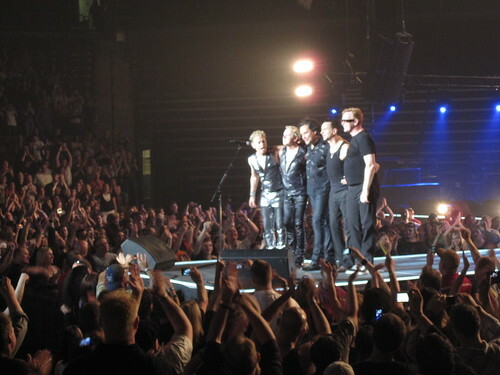 But out of all of those many shows, there is one band that I’ve seen in concert nine times: Depeche Mode. The band never ceases to amaze me with what kind of show they put on. 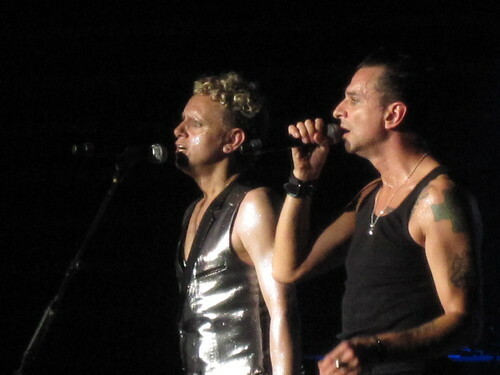 From the first time I saw them live in 1986 during the “Black Celebration” tour until the most recent show of the Tour Of The Universe, Depeche Mode have been one of the most amazing, entertaining and talented bands I’ve seen perform on stage. This most recent date, here in Salt Lake City, had an extra bonus: Dave from Blogography was in town to enjoy this show. 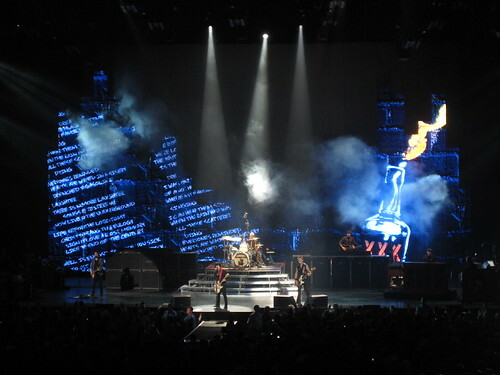 While the concert went off without a hitch, the lead up to this show wasn’t without it’s concerns. The band was forced to cancel a few of its dates, including two California dates, just weeks before the SLC date. All of us were nervous about the show – even up to the day before during Dave Lake City 3 at the Rio Grande Cafe, Dave and I both hoping that there wouldn’t be a last minute cancellation. 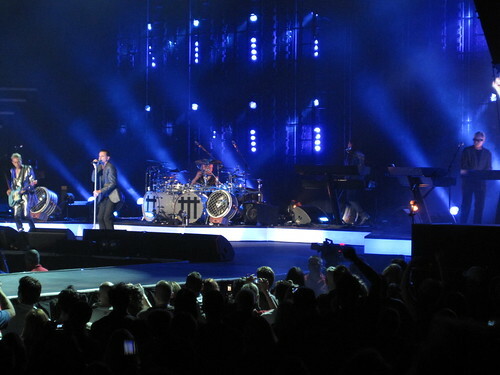 This was also my daughter’s second time seeing Depeche Mode, her first time being in 1998 for the Singles Tour. 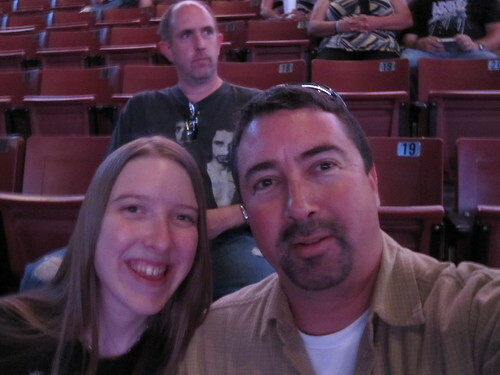 Who the hell is that dude behind us and why is he not excited for Depeche Mode? 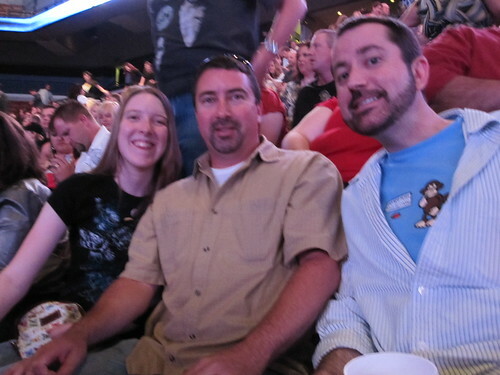 All three of us waited in anticipation, with big smiles…. When Bad Monkey pushes the button, the show will begin. And here’s a video of some of “Policy Of Truth” that I was able to capture on my camera. 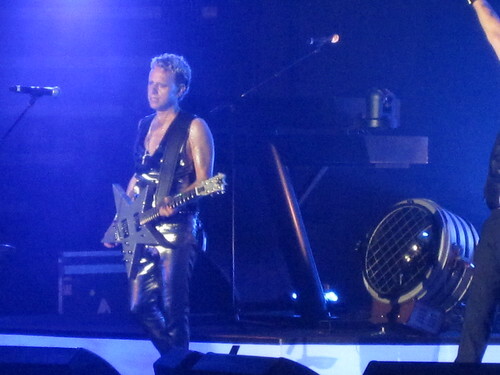 Not to take away from the awesome show that was Depeche Mode live, I also recently went to another concert about a week before. 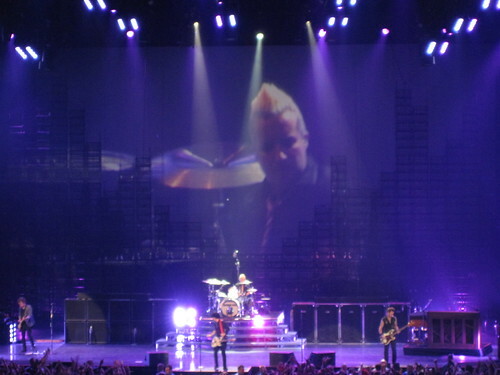 Green Day played at Energy Solutions Arena [formerly known as the Delta Center] and put on a great show. 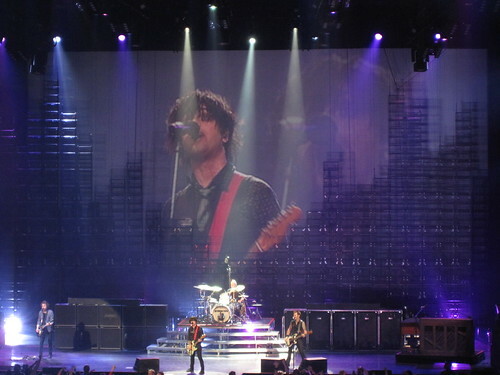 While sometimes blamed for getting too big and too popular and forgetting their punk roots, I have to admit that Billie Joe Armstrong has a great on-stage persona and is very good at building up audience participation. This was my third time seeing them live and I have never been bored or disappointed each of those times. And I was able to capture part of “Brain Stew” on video. 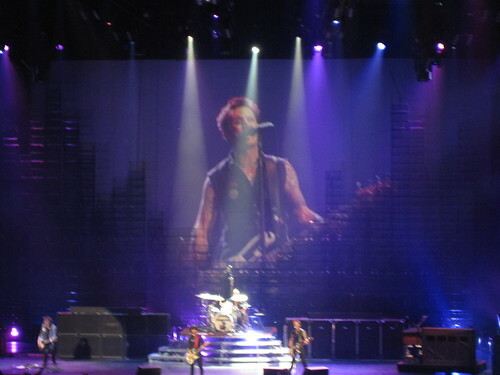 I love Depeche Mode and Green Day, but I’ve never gotten to see either of them in concert. The last concert I went to was Lynard Skynard several years ago. We don’t get many good bands in my area. Wow… not only does your little camera take excellent photos, the video is fantastic! Anything I shot with my iPhone was so badly garbled that you can’t even understand it! Great show. Glad you had a great time at both shows. As Dave2 already mentioned – fantastic pics and vids. Awesome! Really – what kind of phone do you have?! wendy – Wow… Lynyrd Skynyrd.. that was a while ago. If you do get a chance to see them live, you should. Great bands. dave2 – The more I see what this little camera does, the more impressed I am with it. And yes, it was a great show. alex – Thank you. Always a great show that DM puts on. sybil law – The pics weren’t taken with my phone, but my Canon SD780 IS digital camera. Small and easy to sneak into any concert. I wanted your camera as soon as you showed it to me. Now that I see the quality of pictures it takes, I *really* want one. Amazing shots. Hey–my first concert was Van Halen!!! But I think it was in 1991 or so…Very good concert!! And my first thought on the pictures was immediately: I NEED THIS PHONE-but it’s a camera and that makes me feel better, cause I just got a new phone this year. Those are GREAT pictures!! I’m with you on Green Day-they seemed to just blow up so fast, I’m not sure what happened to them. I really liked them at first, but now, as my musical guitar-playin teenager says: all their songs seem to sound too similar, and the guitar plays almost the same rift(riff?) over and over. It’s just bleh. They didn’t get to fully develop. WOW! That’s awesome! 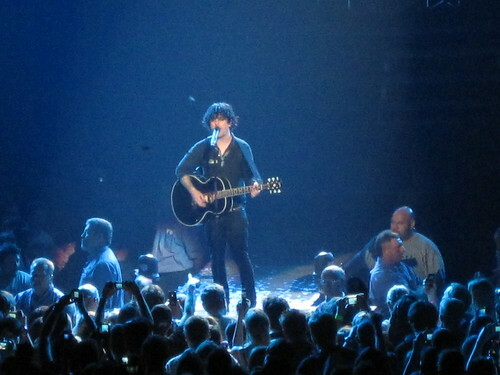 You know, I never really went to concerts. I wish I had done that more, but I suppose there’s still time, right? kevin – Thank you. Yes, that Canon SD 780 is a nice model. The more I use it, the more I really become more attached to it. TSM Oregon – Yep, there is still time. And where you live, most bands find their way to places like The Rose Garden.